A specialist paediatric audiologist has been recognised for her commitment to developing a suite of up-to-date patient information for parents of children with hearing loss across the Bath area. Celia Ball received the ‘Strive for Better’ honour at Virgin Care’s Feel the Difference Awards, which are made to colleagues who have delivered great care and improved the experience of service users – ensuring that they all ‘feel the difference’. Virgin Care’s community paediatric audiology service covers Bath and North East Somerset (B&NES), west and mid Wiltshire and the East Mendip area of Somerset. Celia is based in B&NES Community Health and Care Services. Her nomination said: “Celia has rewritten our B&NES audiology website pages and developed new Wiltshire website pages. “She has also rewritten and written from scratch a selection of leaflets giving audiology advice to parents and children. 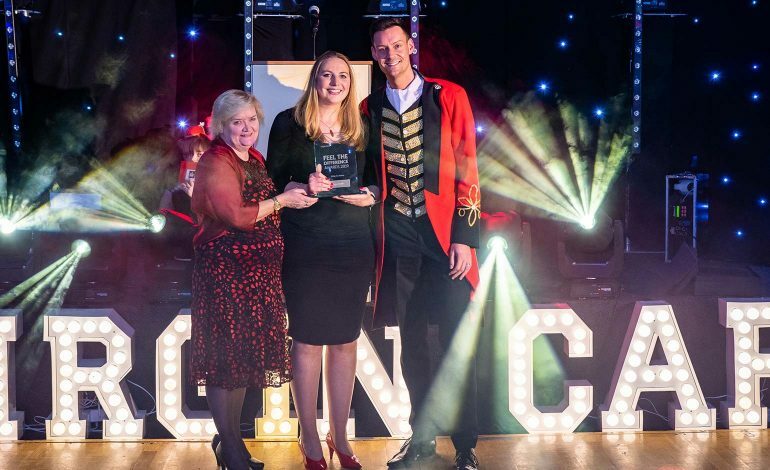 More than 100 colleagues and their guests attended the award ceremony at the Coombe Abbey Hotel, Coventry, after being selected from hundreds of nominations from both colleagues and members of the public. Stuart Rennison-Price, Chief Operating Officer at Virgin Care, judged the nominations. He said: “It was a very enjoyable but difficult task judging the nominations. Every single one demonstrated the amazing work all of our colleagues do every day.